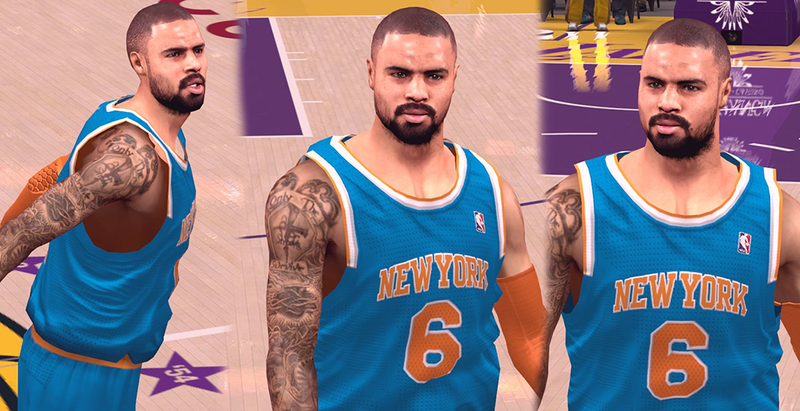 NBA 2K14 cyber face mod for New York Knicks center Tyson Chandler. The 3D head shape and face texture are fully based on the next-gen version. The skin tone is also a little bit pinkish, so you're gonna need to use an ENB with similar effect.